Matt Barrows of the Sacramento Bee reports 49ers head coach Jim Harbaugh says he’s “hopeful” to see a host of previously injured 49ers return to the practice field for a bonus session Tuesday, including receiver Braylon Edwards. The free-agent signee suffered a meniscus tear on Sept. 18 (Week 2, OT loss to Dallas) and has remained on the sidelines. Edwards resumed running in recent weeks, and Harbaugh said he saw him work out – including running pass routes – last week. Harbaugh also said he hoped to see fullback Moran Norris (fibula) at the practice. Norris’ replacement, rookie Bruce Miller, has played well in recent weeks as the 49ers’ running game has regained its effectiveness. 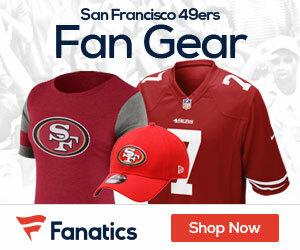 Be the first to comment on "49ers WR Edwards expected to practice Tuesday"